Remember that ginger-infused sugar sirup I had left over from the ginger-chocolate cookies? This is what I did with it! 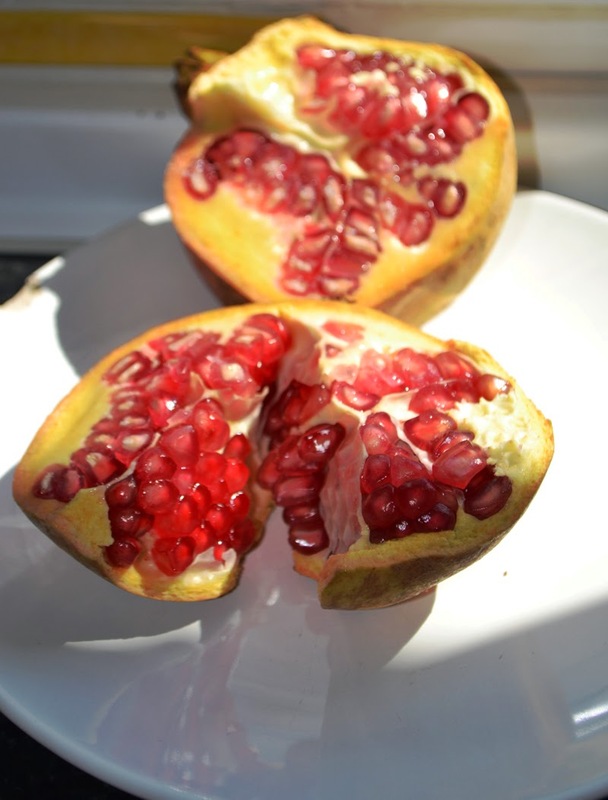 Also I went to the Ecomercado de Granada (more about that later) and got some beautiful and delicious pomegranates. Cut open the pomegranates and dig out all the little red gems, leaving behind the cream coloured skins and the peel. It is fiddly work but also somehow enjoyable. 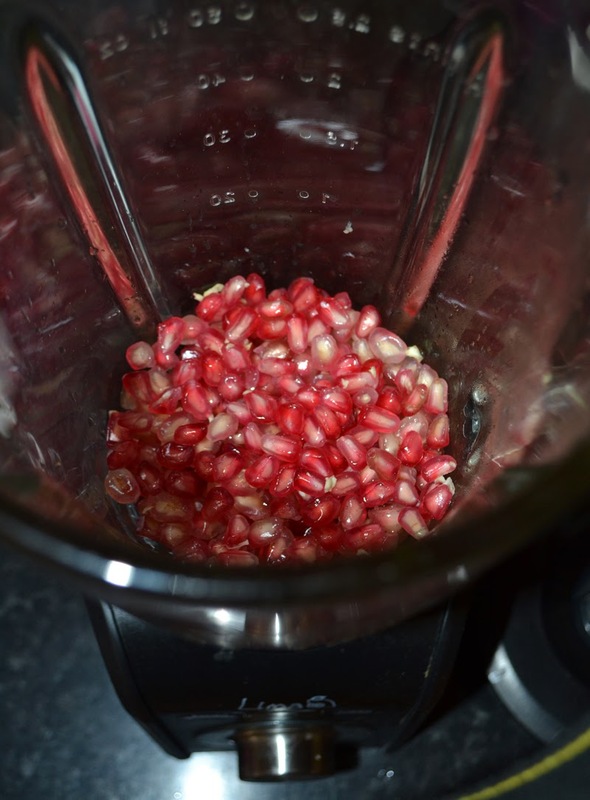 Get them into a blender (or use a hand held mixer ) and give them only a quick blitz, The thing is to separate the juice from the seeds a bit but not to chop up the seeds. Then, using a sieve and a spoon, finish the job and let the juice trickle into a jar, pitcher, jug, carafe, whatever you have on hand. 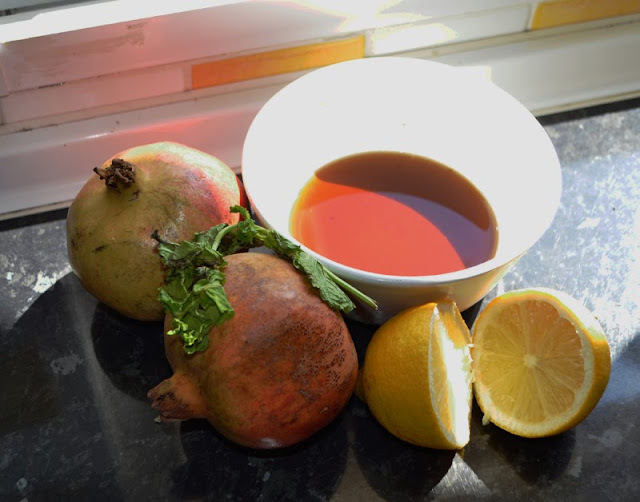 Add the juice of the lemon, the ginger syrup , some water, and taste. If you need more sweetness, add some honey. 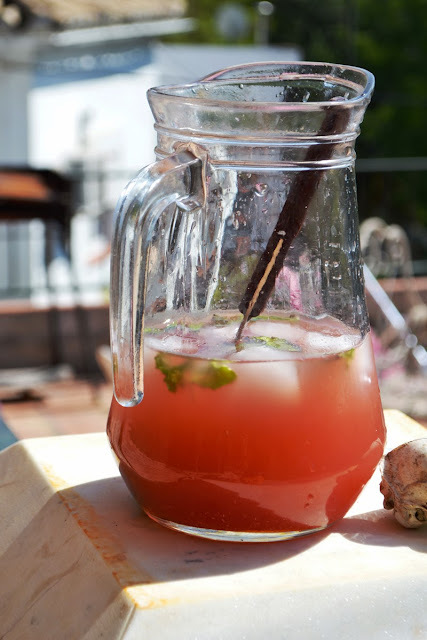 Add some washed mint leaves, with their stalks if you wish. Add ice if you want a cold drink.